Who would have imagined that a 500-sq-ft coffee shop at Churchgate in Mumbai, furnished with rented furniture and limited resources in 2001, would clock sales of Rs 6 lakh a month and go on to become one of India’s most respected brands? Since then, 39-year-old Riyaaz Amlani has had the country eating out of his hands, with his 33-odd restaurants and cafés serving over 12,000 people a day. 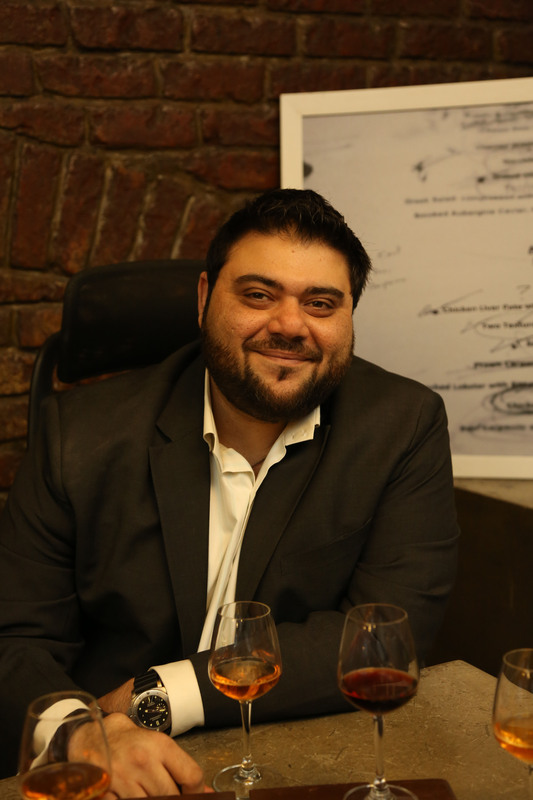 CEO and Managing Director of Impresario Entertainment & Hospitality Pvt Ltd (IEHPL), Amlani is not just a thorough home-bred restaurateur; he’s also one of the youngest. Excerpts from my recent interview with the dynamic restauranteur. Very soon, we will be launching our new format Social, a sort of a café bar for the youth. You started work at the incredible age of 16, as a shoe salesman with Mochi. When did the entrepreneurial bug bite you? Even while I was working, I was doing something entrepreneurial on the side. I was always looking to make some money. What were some of the early life lessons you learnt from your first venture — a shoe store at Sion? When I opened my store, there were five other shoe stores just like mine on the same street. But mine was the prettiest. It had a glass door, beautiful window display and air-conditioning, whereas the others would switch on the lights only when a customer walked in. I thought I was going to wipe out the competition. But the opposite happened. The glass door was too much commitment for the customer to walk in. It took me a while to figure out that Bombay is not one market. What works in Bandra doesn’t work in Churchgate. It’s not a homogeneous market. I also got a deep insight into consumer sentiment. Being a shoe salesman, you get to figure out the emotional needs of a customer more than just the need for a commodity. What was the inspiration for Mocha? 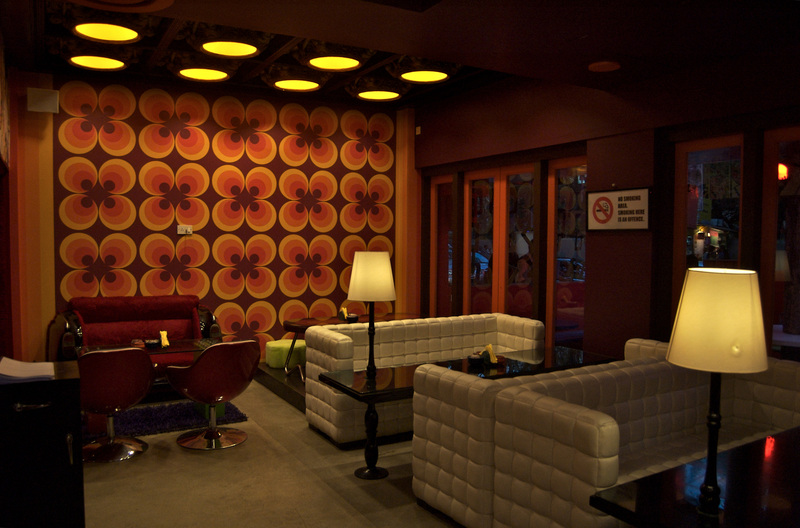 When we were thinking of Mocha, we wanted a space where people could just hang out, a place conducive to linger. We also wanted to make sure it was difficult for people to leave. Unlike other coffee shops, which are usually based on the Starbucks model, we were based on the Kawa Khana model — coffee houses in the Middle East, where people would throw open the back of their homes for coffee and seesha. Mocha was a contemporary Kawa Khana; it wasn’t an expresso bar. That was the brand differentiator. What were the initial days of Mocha like? We started with an investment of Rs 15 lakh. The first week was difficult. But by the eighth day, word had gotten out and we had a queue of people waiting to get in. We broke even within the first nine months and were ready to expand. Speaking of customer feedback…what’s the most oft-repeated feedback you get from your customers? Increase your variety! Internationally, restaurants have just 8-9 items on the menu and they do them really well. In India, even if I have 150 items on the menu, I still get feedback that says, ‘more variety’. What part of the hospitality business do you enjoy most? Creating the overall experience that a customer has in my outlets is closest to my heart. I wouldn’t say I am a foodie or an operations guy; I enjoy the emotional payoff that my customers get when they visit my restaurants. I would like to be called ‘Chief Experiential Officer’. Who’s your hero in the food business? Too many people. Rahul Akerkar, for starting it all. He was the guy who brought international dinning standards to India. A D Singh, for creating good concept-based restaurants and backing it up with good marketing. Lately, I enjoy the products of the Mamagoto guys. Kishore DF’s The Big Nasty is another favourite. Internationally, I like all the great chefs including Danny Meyer. What’s the one bit of advice you are glad you never took? When I was opening Mocha, many people told me it would never work. They sat me down and told me how a coffee shop would never be profitable. But I knew it would work and people would respond. I went ahead and it was an astounding success. When you have conviction in a product, when it keeps you up at night and you dream about it, you should go ahead and do it. Never let even good advice interfere with your life. Henry Ford said: “If I had asked people what they wanted, they would have said ‘faster horses’.” You have to go with your gut. What’s trending in the food scene right now? Smaller, casual places that offer good value for money are more interesting than the large, expensive fine-dining outlets. In India, people like visiting the small, casual restaurants that offer good food. Let’s talk money. What are the profit margins in your business? Restaurants do about 25 per cent EBITDA of sales. What gets stolen most often from your restaurants? When we first started Mocha, we had very pretty ashtrays and they were the most oft-stolen item. Sometimes menus get stolen by those who want to start their own restaurants! We have trained our staff to mention very respectfully: ‘I think our spoon just accidentally fell into your bag’. A butta on Marine Drive on a rainy day hits the right spots. But my mom’s dal chawal always makes me happy. You operate in various formats — café, fine dining, delis and a special-catering division. Which one’s toughest? Where is the money? A bar business is the one with the most money. It’s also the toughest as you need to do a lot to keep the place buzzing — PR, customer relationships, events, media, celebrities. As clichéd as this may sound, what’s your recipe for success? Find a thing you love, do it and be good at it. No serendipity. — After capturing the imagination of the youth with Mocha — Coffees and Conversations in 2001, Riyaaz Amlani ventured into fine dining with Salt Water Grill, Stone Water Grill and Smoke House Grill. Soon, followed the all-day café formats of Salt Water Café and Smoke House Deli as well as Bespoke Café. — In the meantime, the legendary Prithvi Café and wine café The Tasting Room were also developed as collaborative spaces, and Amlani’s first contemporary Indian restaurant Le Kebabiere was launched. — Smoke House BBQ, a restaurant that is an ode to barbecue cuisine, and its next-door neighbour, the immersive nightclub Shroom (both in Delhi) are the latest entrants to the Impresario family. Soon, Amlani aims to unleash 22 new outlets of Mocha and 11 new outlets of Smoke House Deli across Indian metros.